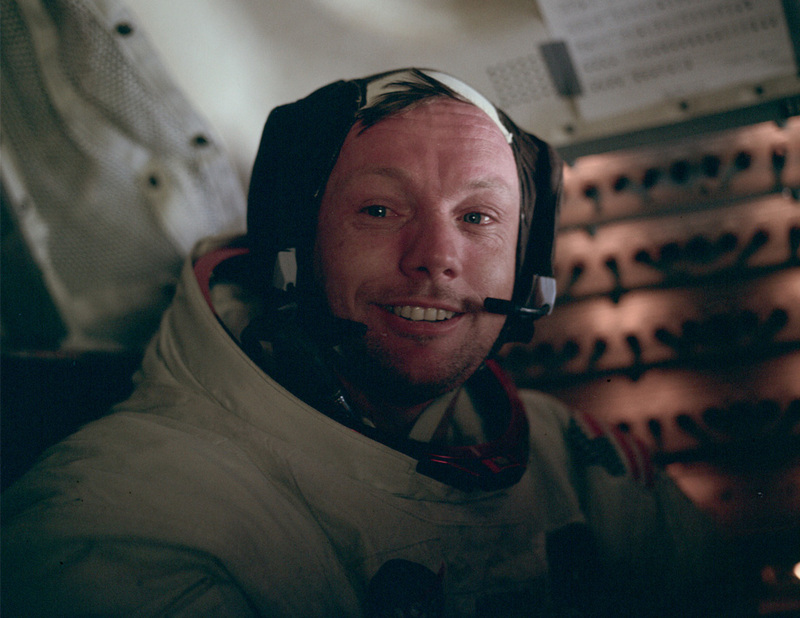 Buzz Aldrin took this picture of Neil Armstrong in the cabin after the completion of the first EVA. This is the face of the first man to set foot on the Moon, just hours earlier, on July 20th, 1969. Neil Armstrong was a quiet self-described nerdy engineer who became a global hero when as a steely-nerved pilot he made “one giant leap for mankind” with a small step on to the moon. The modest man who had people on Earth entranced and awed from almost a quarter million miles away has died. He was 82.